Seize your last chance to enjoy Chope’s MEGA VISA FLASH SALE and BUFFET STAR BUYS! Last chance to enjoy up to 50% off top dining vouchers, 2nd buffet diner @ $0.18 and more during Chope's Best Festive Sale 2017. Offers end 17 Dec.
Chope is having the Best Festive Sale 2017 from 11 to 17 Dec! 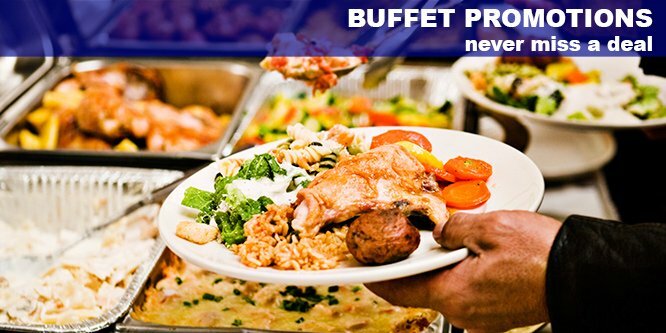 Enjoy up to 50% off top dining vouchers, 2nd buffet diner @ $0.18 and more. Maybank cardmembers get to enjoy 1-for-1 Buffet promotions at Todai till 29 Mar 2017. With the Christmas and New Year coming, you may want to check out Triple Three's 1-for-1 and other offers for your festive dining plan. Sakae Sushi has brought back their popular All You Can Eat 90 Mins Buffet. Available on weekdays from 3pm to 6pm (last order at 5.30pm). From now till 28 Feb, enjoy I'm Kim Korean BBQ lunch buffet from only $11.90++! From now till 28 Feb 2016, enjoy weekday lunch buffet @ $9.90++ and weekend lunch buffet @ $19.90++ at GoroGoro!